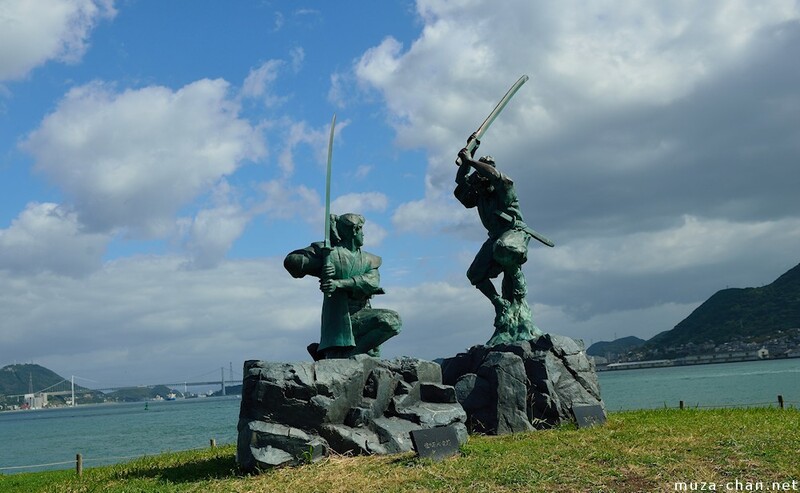 In 1612 Miyamoto Musashi and Kojiro Sasaki fought a duel on the beach of Ganryu Island. Both were excellent swordsmen, well-matched. Kojiro was famous for his “swallow cut” style and his extra-length sword* “clothes hanger-pole” which gave him a bit of reach, which he had taken great advantage of in several duels. Musashi realized that he needed to negate Kojiro’s range advantage, and, on the rowboat-ride out to the island, cut down a wooden oar into a bokken (“wooden sword”) that was a bit longer than Kojiro’s sword. ** When he faced Kojiro, he ran straight in and crushed his skull from just outside of range. The French at Agincourt had the same problem: you have to attack because otherwise the archers can advance until you’re in their range and engage you as long as they want. The alternative: you’re history. Changes in the effective engagement-range of weapons systems can result in profound changes in battlefield outcomes. The US DoD is currently deploying a bunch of insanely expensive stuff that hasn’t got the hitting range of the weapons systems they are most likely to go up against in a major war. That may not matter (if US strategy is, basically, perfect) or it may result in shocking losses. Historically, US weapons systems have had the advantage of range, with some glaring exceptions. For example, in WWII, the American Sherman tank couldn’t penetrate the armor of a Tiger at farther than 200m, whereas the Tiger could penetrate the Sherman’s armor at 600+meters. The result was an exchange ratio of about 7:1 – you could expect that if you had 8 Sherman tanks you would probably be able to kill 1 Tiger tank, but you’d generally wind up with 1 or 2 Sherman tanks left afterward. The Germans were shocked to discover that a T-34’s front armor was almost invulnerable, whereas the T-34’s gun could reliably penetrate a Tiger tank’s armor at 500 meters. And that, as they say, was that. When you look at the DoD’s weapons system strategy, however, you may notice an outlier: the DoD is fond of expensive weapons systems that may be really really high tech but aren’t necessarily very good. Consider the successor for the M109A6 Paladin self-propelled howitzer. Its effective gun-range is 22km (30km with rocket assisted ammo) whereas the current Russian system‘s effective gun-range is 40-70km and the current Chinese is 80-100km. Consider the Gerald Ford Class – US’ new aircraft carrier. It’s fast – and stealthy. For an aircraft carrier. Bizzarely, the navy has managed to get it passed into law that there must be 11 aircraft carriers, always – a maneuver that makes budgetary sense, but with overpriced supercarriers absorbing most of the navy’s cash, you wind up with weird things like the Littoral Combat Ship (a light destroyer) being re-branded as a frigate in order to conceal the imbalance of the force in favor of a few expensive toys. The defensive envelope of an aircraft carrier is a factor of the combat envelope of its air wing (this is bad news if your air wing is F-35s! ), and the fire range of its close-in defense systems. The navy is continuing with its program of building aircraft carriers while the awareness among military strategists is that they are just big floating targets. There is a lot of self-deception going on in the navy, with the claim being that the US lacks a credible navy unless it has at least 11 supercarriers, so therefore we must assume it’s impossible that we’ll ever lose one. The premise is that they’re unsinkable, so you get weird scenarios like Millenium Challenge 2002 in which a massive JANFU**** simulated the loss of an aircraft carrier, a dozen other ships, and 20,000 personnel. The DoD’s response was to hit Ctrl-Z on the scenario and “refloat” the expensive toys so that the potemkin exercise continued according to its predetermined successful conclusion. The US DoD thought the Russian launch capacity was not that big. Oops. 26?!?! That’s enough to oversaturate close-in defenses, especially if ground-launched batteries can be brought into play. The launcher ships turned out to be light corvettes but they put out more missiles than a comparable suite of US Arleigh Burke class Aegis boats that would cost far more. The US DoD thought the Russian cruise missile’s accuracy was not good enough to hit a ship but instead it turned out to be pretty good. Imagine how the French felt at Agincourt when they discovered that the range envelope of the English archers was bigger than they thought, the rate of fire was faster than they thought, and the archers were more accurate than they thought. The message the Russian navy sent was: we have the range on you. One of the problems with being inside someone’s missile envelope is that it doesn’t matter whether you’re a new stealthy supercarrier or an old supercarrier, you’re still lunchmeat waiting to be put on a bun. The newer generation of Russian cruise missiles is stealthy and Russia has been demonstrating them in Syria as well. The KH-101 has a range between 10,000 and 12,000km. That’s not a typo. So, there’s a huge strategic disconnect going on: the navy is building great big targets that cost a lot and take a long time to produce, while other countries are building things (also: things) specifically designed to be inexpensive yet extremely effective against those great big expensive targets. I imagine that the French knights at Agincourt felt pretty invulnerable in all that armor until the bodkins of harsh reality hit them. Now is the time for the unavoidable discussion of the F-35. F-35’s combat range is: ~1,000 kilometers. The DoD’s strategy is that F-35 is going to suppress hostile missile batteries that overrange its bases, because of its magical stealth capability – which will not help at all if the ship it is on or the runway it hopes to take off from has just been inundated with cruise missiles. The F-35 isn’t fast enough or maneuverable enough to dogfight against the current state of the art Russian or Chinese fighters, it hasn’t got long enough legs to do deep strikes and its single-engine non-dissipated exhaust amounts to a massive infrared “kick me” sign, it doesn’t carry very much in the way of ordnance, and it’s got a pretty terrible on-station loiter time. Other than that it’s a hangar queen, expensive, and has an egregious 1 critical failure per 4hr flight time – worse than the F-22. Remember, while it’s doing that “ground support” loitering, it’s going to be lighting up the landscape with that great big infrared target in its rear axis. Apparently nobody wants to talk about the fact that there are 5th generation MANPADs that target infrared, not to mention the venerable Stinger, which would end an F-35’s loitering history in seconds. The propagandists from Versailles on the Potomac insist it’ll be great – but signs point to no. Strategically, it’s a doorstop. Whoever strikes first will probably win – which is most likely going to mean that, in order to use its crappy gear, the US will become increasingly prone to aggressive offense. We still haven’t learned a thing from Pearl Harbor. Here’s what’s going on: the DoD is touting the performance of the F-35, the Littoral Combat Ship, the Paladin, the supercarriers – as being hugely effective – against 1970s-era 3rd world nations’ gear. And, that much is true. When you read about something like the F-15’s amazing combat record (104 kills, no losses) you need to read between the lines to realize that it’s really devastating against Mig-23s and Mig-21s. When you read about the M1 Abrams and Bradleys slaughtering the Iraqi guards armored at 73 Easting, the surprise would be if the 1970s Russian surplus T-72s even had an idea what was killing them. The F-35 is going to probably do pretty well against insurgents in trenches shooting up at it with AK-47s. 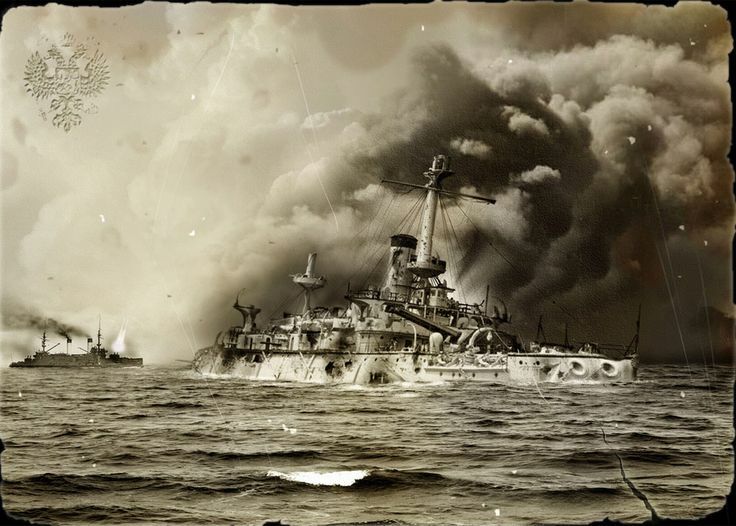 The supercarriers continue to do well, in an environment in which nobody dares shoot at them because if you sink one of the US’ floating Potemkin villages, you’re probably going to get attacked with the whole bucket of chum. What’s weird about the situation is that the DoD is building gear that is oriented toward fighting a power like Russia or China, but which is inferior to the Russian/Chinese gear while it’s still on the drawing board. Meanwhile, the DoD’s tasking is to fight endless imperial wars against insurgents who, actually, are more susceptible (and equally helpless against) attack from 1970s gear like A-10 Warthogs. So they’re building gear that will categorically lose the big wars, while it is too flashy to help in the little wars. It’s so bad that the Air Force tried to proactively destroy A-10s in order to protect the F-35 program’s funding. Look forward to the air force talking itself out of a job and devolving into a small fleet of boondoggles and hangar queens that fly at air shows, and a large fleet of drones. We continue to win wars because we have the most expensive military that money can buy, and because we’re picking on bush leaguers. When the strategic geniuses in Washington talk glibly about “pivoting” to China or something like that, they are mirroring the imperial hubris that brought us every other historical battle in which one side badly overestimated its capabilities against an enemy that had studied strategy and changed the way it plays the game. Alistair Home: “Hubris – the Tragedy of War in the 20th Century” This is a deeply depressing book if you have any empathy at all. The term, as I recall from my days as an anti-tank platoon leader, is ‘stand-off’. The basic tactic is to (1) remove/limit your opponent’s mobility, then (2) pound on them from outside their range. As you note above – if you have a long enough range advantage, that acts as a limit to their mobility as well. The details of Millenium Challenge 2002 (thanks for the link – I had forgotten about that exercise) are telling – by over-reliance on ‘high-tech’ solutions, we ignore low-tech responses that cannot be stopped! (Add to that greater weapons capabilities by other world players, and we are going to see some major losses when the Clinton Presidency starts trying to play hardball – even against a ‘bush league’ team, that team may have a major league sponsor that wants to see a live test of some of its weapons systems. Interesting and thoughtful post! Thanks! Yup. I am endlessly amazed (and more than a bit scared) at the “stealth will save us!” mindset in some branches of the military. They don’t seem to understand that stealth also dooms the F-35, the supercarriers, and missile defense systems. Putin was being pretty cool, in my book, sending such a courteous and unambiguous warning. He didn’t have to do that – the Chinese certainly haven’t. If there aren’t a lot of people running around the halls of Versailles on the Potomac, with their hair on fire, they’re even stupider than I think they are. PS – Neither the Russians nor the Chinese will build an infrared-homing air to air missile. Because we all know that can’t be done. Not stupid, I think, but rather focused on justifying spending contracts for their retirement into the private sector, instead of focusing on national defensive capabilities. I remember hearing about the reduced support for the A-10 and am *still* wondering what the hell?! As an infantryman, CAS is my second-best friend after Field Artillery – and the A-10 is about the best we’ve ever had for that. Antiship missiles from cheap platforms have been a worry for aircraft carrier operators since the early ’70s. I remember reading several late ’70s and early ’80s naval books speculating on how much danger developing world navies with missile armed equivalents of a PT boat might be to the big carriers. The RCAF is another air force that wants F35s, and more than one source has stated they pretty much made the F35 the only possible choice when cooking up requirements for a CF18 replacement. The Liberals used its price and development problems as a wedge against the Conservatives in the 2015 election, but find themselves still stuck with the possibility of buying them if it wins whatever procurement competition they intend to hold. Of late there’s been talk of an interim buy of Boeing Super Hornets, both because new aircraft are supposedly needed sooner rather than later, but also possibly to put off making an F35 decision for another few years. It doesn’t help that Canada’s military procurement process has been a complete mess for years, despite the previous Conservative government supposedly being pro-military. It’s amazing reading about some of the problems the F35 has. Take the fancy electronic helmets. One problem they’re trying to deal with is that if a pilot is too light they’re possibly at much greater risk of head and spine injuries if they have to eject, because of the weight of the helmet. The DoD’s response was to hit Ctrl-Z on the scenario and “refloat” the expensive toys so that the potemkin exercise continued according to its predetermined successful conclusion. Wow. Not to be a debbie downer or anything, but… this is EXACTLY what happened in the war games the Imperial Japanese Navy ran just before the Midway operation. We all know how well that worked out for them. So, it seems like the US military industrial complex is more focused on the industrial part (building lots of stuff = $$$) than the military part. Also, we haven’t learned anything since the debacle with the The Pentagon Wars. Another really depressing (though absolutely hysterically funny in places) movie that is based way too accurately on real life. It pays to remember that the business of business is profit for the investor class. Wages paid to workers and products delivered to customers are all costs that need to be managed and diminished over time. There is no actual reason why a defense contractor should favor weapons systems that actually work as long as they are perceived to be capable. Ideally this illusion would be shared by friendly forces and potential enemies alike. But, like the dummies manning the wall, it is most important that the enemy believe. Failing that the best option is to deceive the taxpayer. Consider the Iranian penchant for fake weapons systems to keep their citizens engaged. Of course the question becomes one of how to tell what works. Complicated multi-mission weapon systems employed by multiple branches in a variety of environments automatically come with a long list of difficult to gauge and often contradictory specifications. Each of which provide a perfectly reasonable and acceptable excuse for why and how a system can cost more and how it is allowed to fail in any particular situation. Which adds its own option for interpretation. Consider the Gulf of Tonkin incident. The radar used gave ambiguous signals and it was quite easy for an operator to interpret those signals as any number of possible faults, targets, or noise. The end result was that we got an excuse to commit to a war. The navy was allocated money for, and got, better radar, and the defense contractors made a heap of money. A hat trick. Of course there is also the historic fact that weapons systems evolve. The F-4 Phantom was unstable and accident prone before it matured as one of the most reliable and capable fighter/bombers going. The F-111 was a failed Air Force/Navy project that in time became a very capable anti-radar/ lead attack aircraft. What will the littoral combat ship or F-35 end up as? Nobody really knows. Yes, the F-35 has a long list of issues. Which raises the question of why the Israelis, a group not known for their tolerance of ineffective weapons systems, are buying them. Your picture of … “hangar queens that fly at air shows, and a large fleet of drones” may hint at an answer. A drone control aircraft which can’t be easily spotted doesn’t need to dogfight or carry many missiles. There is a lot of official ambiguity about how big the infrared signature is from the F-35. Newer high-speed and lock-and-forget missiles seem to indicate that the long waited for ‘end of dogfighting’ may be at hand, at least for manned aircraft. Drones that can pull 20Gs indefinitely simply blow away manned fighters in a dogfight. High-speed computers that can complete high-G maneuvers and deliver weapons with millisecond accuracy, high precision gunnery that fires as few as one to three rounds per attack (which makes a magazine last a whole lot longer) may all be at hand. Three things need to be considered. Who profits? Who are we trying to convince of what? Where are we going? Is the primary purpose of the military to defend our nation? Against who, in what way? Is it primarily a profit canter for the investor class? Does it matter if a weapons system doesn’t work if everyone thinks it does? What about hyper-velocity weapons and/or maneuverable reentry vehicles. We started with gunpowder. Then high-explosives. Then nuclear. Is the next thing chunks of concrete thrown at 6000 mph. Or are we going to spend the next fifty years waiting for them like my flying car and Buck Rogers ray gun. Time will tell.